Is someone out to get you? Perhaps the government has reason to be looking in on your daily activities. More than likely no one is looking in on your every move, it’s just paranoia. 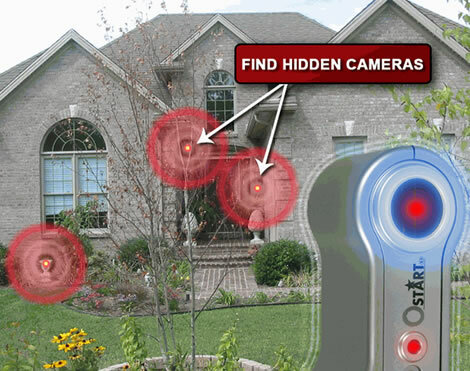 However, if you’re convinced that someone is prying into your personal life, you might want to pick up this Hidden Camera Detector for some peace of mind. I’ve seen some camera detectors that do little more than detect wireless signals that are commonly used by such cameras. This one will actually find the hidden cams and pinpoint them with extreme accuracy. Of course if you actually spot them and subsequently remove them, that may compromise your situation and force your watchers to take action. If you’re truly this paranoid, you’d better have some deep pockets. This Hidden Camera Detector from START will set you back $393. I can’t wait to get out and use this! I can attest taht if I had this before I would have been shopping in your house instead of hanging out in the big house.